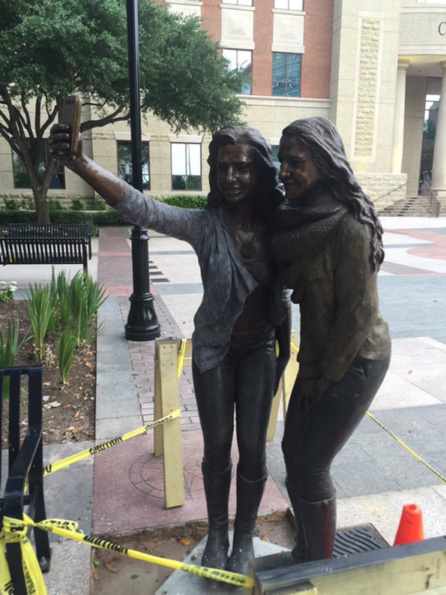 Redditor Jordan180 posted this picture of the new selfie statue next to the city hall in Sugar Land, Texas. People are apparently not happy about it because of, like, the fall of mankind or something? I don’t know. More importantly, what if you take a selfie of yourself with the statue? That would be pretty meta. You’d probs get a good amount of likes on the photo, too. And isn’t that what really matters? If you answered yes, then okay, actually, yes, the end of times is near. I can see that now.